CARFAX AVAILABLE NO ACCIDENTS!!!!!!! 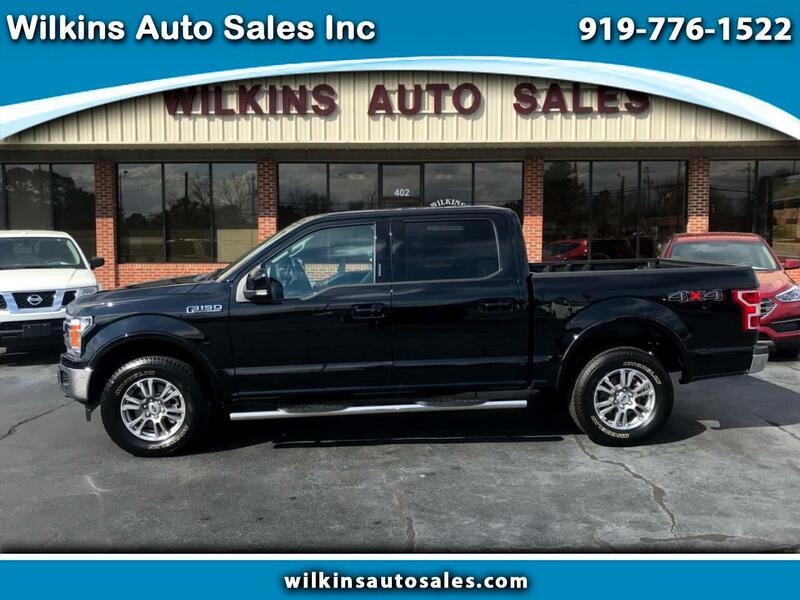 Here's a 2018 Ford F150 LARIAT Super Crew Cab 4 wheel drive pick up with 14,000 miles for only 38,995.00. This F150 is loaded with options, here are just a few, keyless entry, back up camera, tow package, bed liner, alloy wheels, power heated and ventilated leather seats with memory, dual climate control, power sliding rear glass, power adjustable gas and brake pedals and much more!!!!! COME BY AND SEE RUSS OR JEFF TODAY OR CALL US @ 919-776-1522!!!! !